Welcome to the Cookie Club! We've published over 1,000 recipes from around the world and would love to have you join us. Our recipes include brownies and bars, cake mix, chocolate chip, cranberry, ginger, healthy, lemon, no bake, oatmeal, peanut butter, pecan, potato chip, raisin, snickerdoodles, sugar, sugar-free, wedding cookies, white chocolate, and many more! These sugar cookies are soft on the inside and crunchy on the outside. Quite a combination and quite delicious. Impossible to eat just one. If you're gifting or feeding a crowd you'll want to double this recipe. Cookie dough will store in the freezer nicely for later baking. 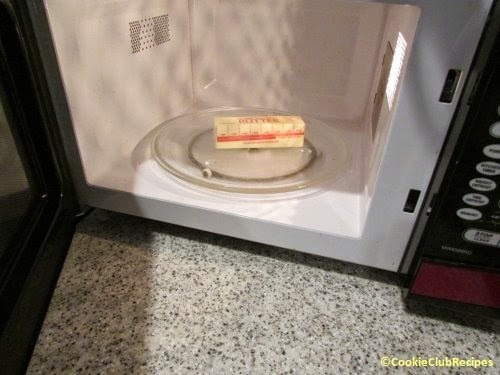 Soften butter in microwave for 10 seconds. In a large mixing bowl, beat together sugar and butter until light and creamy. 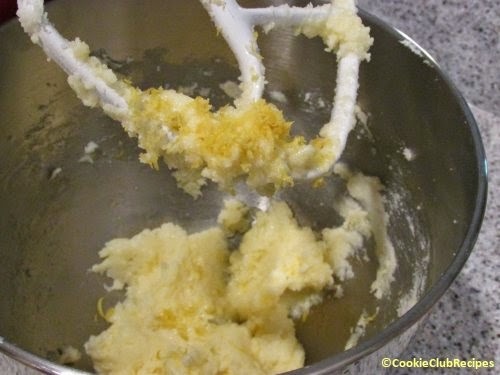 Add egg, mix until combined, then add grated lemon peel and vanilla. In a separate bowl, stir together flour, salt, baking powder and soda. Add to butter mixture one-third at a time. 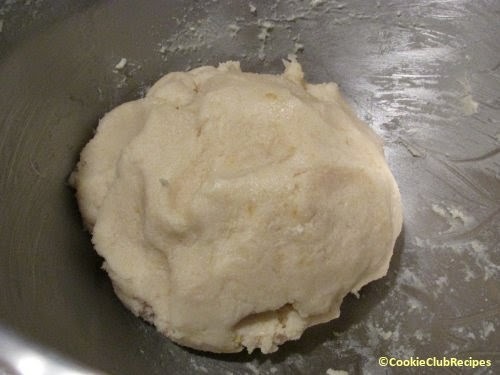 Place dough in airtight container and chill in refrigerator for 1 hour, or in freezer for later baking. When you are ready to bake cookies, shape chilled dough into 1-inch balls. 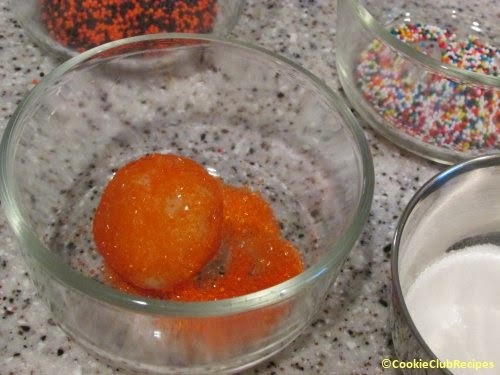 Roll into holiday colored sugar or sprinkles, if desired. 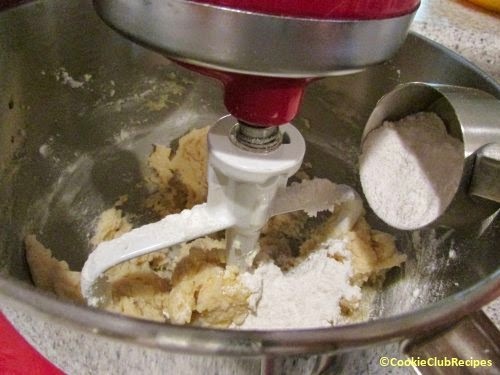 For plain sugar cookies, roll into (or sprinkle with) regular granulated sugar. 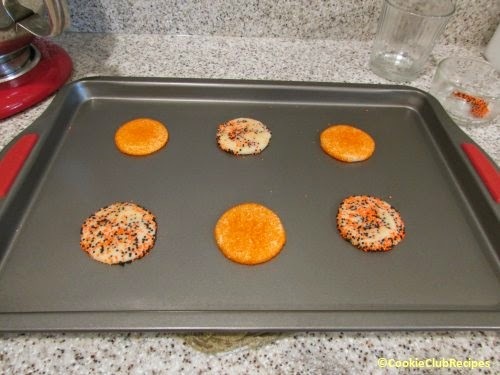 Place cookies 2 inches apart on non-stick or lightly greased baking sheet. Flatten with bottom of a glass. Bake cookies for 10 minutes. Not a minute longer. 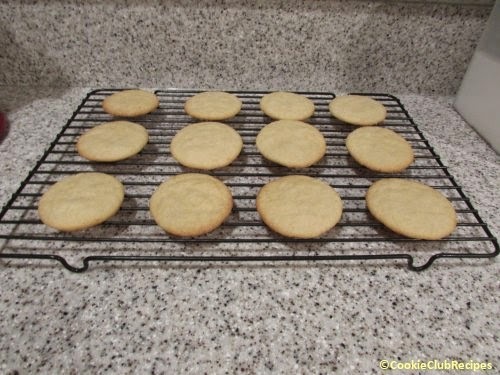 Remove from oven and transfer cookies immediately to cool on wire rack. 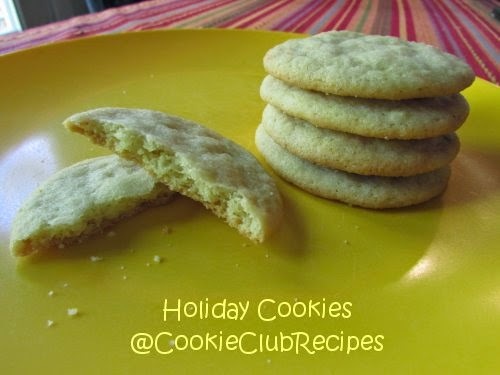 These are the plain sugar cookies I made with the same batch of Lemon Sugar Cookie dough (photos above and below). No holiday sprinkles needed, just a little sugar. They melt in your mouth. YUM!!! Adapted from Cookie Club member submitted recipe Lemon Sugar Cookies by AW, 2011 Annual Cookie Club Recipe Cookbook, pg 84. Recipes with photos have been baked, edited, photographed, and gladly taste tested by CookieClubRecipes! THANK YOU: To all our Cookie Club Members for sharing your favorite family cookie recipes with us for more than a decade. We have enjoyed every moment and every recipe with you! 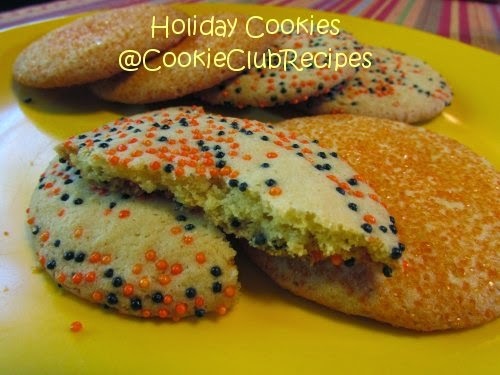 COPYRIGHT: Members and visitors are welcome to print our Cookie Club recipes for personal use or share links to our recipe pages. Please do not copy, reprint or republish our recipes in any format. Thank you for your support! OUR COMPANY: CookieClubRecipes is an online club hosted by Blue Ridge Publishing, Inc. Parent company of BetterBudgeting, GrocerySavingTips, and FrugalFamilyRecipes. Copyright © 2003-2018 by CookieClubRecipes. All rights reserved. Simple theme. Powered by Blogger.